Saturday 8 A.M.- 2 P.M.
Fuse quality with affordability when you purchase PC boards, selector switches,Tecumseh Ignition Modules 610748 or 610906, SA 200 upgrades, and welder repairs from our professionals in Pinehurst, Texas. 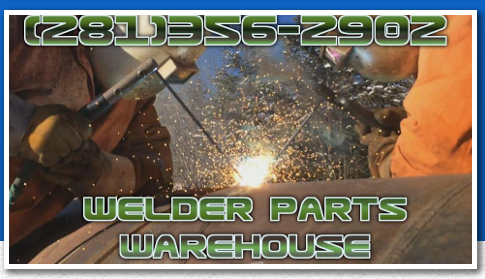 Welder Parts Warehouse's selection of welding equipment repair work, upgrades, and replacement parts and is unmatched by any of our competitors. We have everything you need to find more success in your welding venture! Contact us today for all of your welding needs in one spot. We manufacture and repair idle PC boards for the Lincoln SA 200 pipeline and SA 250 welders. 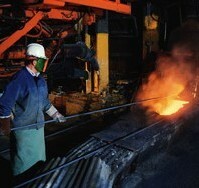 Our work in this area also includes replacement boards for the Miller Big 30s, Big 40s, and 225Gs. All of these options provide you with more paths to success and efficiency within your welding shop. Welder Parts Warehouse is the only company currently remanufacturing 4-position, short hood SA 200, and 5-position selector switches on an exchange basis. These newly remanufactured switches help you more accurately finish welding projects for clients. We offer complete idle upgrade kits to replace the R57 and the vacumn bellows found on the SA 200's,the idle upgrade kit is complete with all the components for the do-it-yourself installer along with a 24-7 (877)692-3803 number for service after the sale.Welder Parts Warehouse also offers the Electronic Ignition upgrade for the SA 200 with the F162 or the F163. We offer a replacement ignition kit for the Tecumseh 14hp-20hp used on the Miller Bluestar, roughneck and many more applications using the 610748 or 610906 modules that have been obsoleted.The 610748 and 610906 SSI ignition modules used on the Miller Roughneck,and Bluestar have not been available for quite some time so we designed a 12volt replacement system that is simple to install and maintain and give a 2yr warranty. We offer a range of sheet metal services, including replacement battery boxes, battery doors, hoods, and doors for the SA 200. Welder repairs for your Lincoln, Miller, ESAB, and other types of welding equipment ensure your tools are always at the ready when needed. We not only offer repairs, but we also offer customizations and modifications upon request we listen to the consumer and give them what they need to suceed in the welding business. and replacement parts you need to provide better services to your customers.